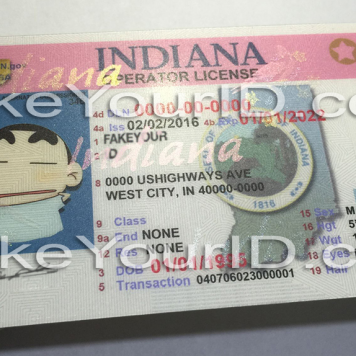 Printing Material: The card is printed on improved quality of PVC to ensure it passes the bending test used by bouncers as a first step to check for your card’s verification. 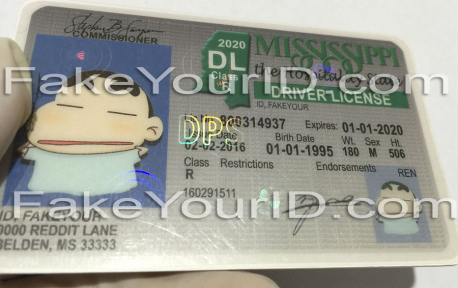 Template in use: The DMV started issuing new template design for the id cards of this state. We currently make two kinds of id cards for this state. 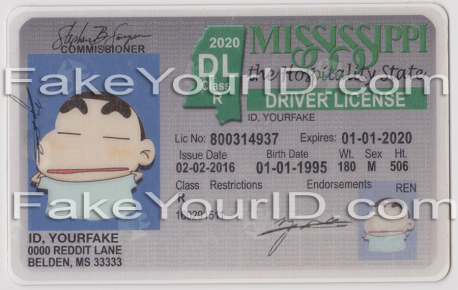 select ‘Mississippi (NEW)’ for the updated template or pick ‘Mississippi (OLD)’ in our order form’s state list for the previous one. The samples of both can be seen in our images. The header “MISSISSIPPI” is green text is in unique font style placed at the right top. Laser-perforated Illustrations of the state outline, statehouse, and flag appear in the background. 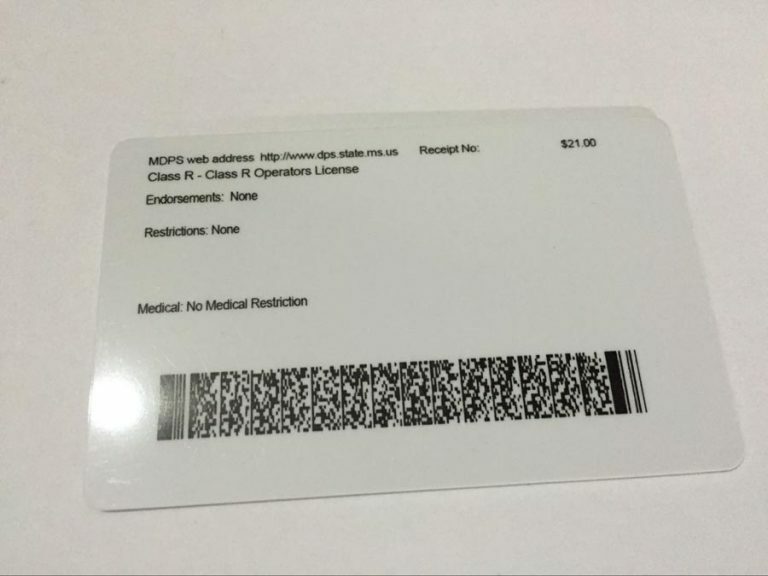 A duplicate ghost photo is visible on the lower right overlapped with the state outline with letters ‘MS’ is viewable on it when a flashlight lits against the back of the card. The card edges embossing with the intricate lines pattern to enhance the security and look of this identification card. The state seal and the letters ‘DPS’ are visible under ultraviolet light. 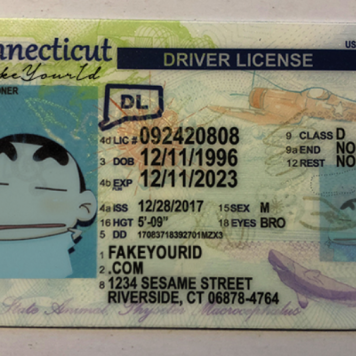 This id has a terrific passing rate inside the state and others as well because of the new state-of-the-art design it possesses. The back of this identity card comes with one and two-dimensional barcodes which contain the cardholder’s license information. Bars in the state of Mississippi are an attraction for liquor consumption and getting wasted. So, not only the people past their teens have a significant presence in nightclubs, but underage kids also attend bars in high numbers. 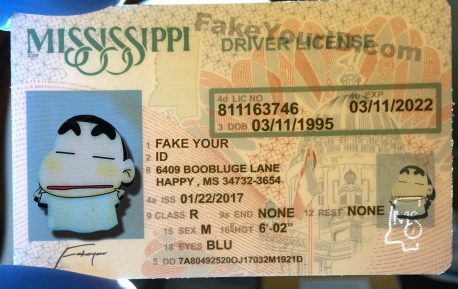 Hence the drinking culture is at its peak, and you can find bogus licenses on prom nights, in boozy summer parties or anywhere in your neighborhood. Each three out of ten orders that we receive are for this id card. 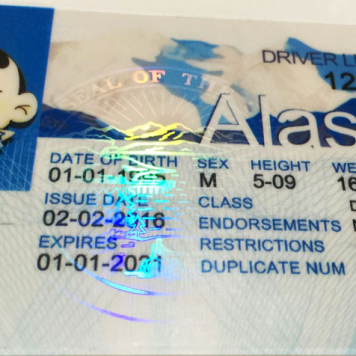 The real id act prompted the state to enhance their id cards with latest security features and modernized techniques. 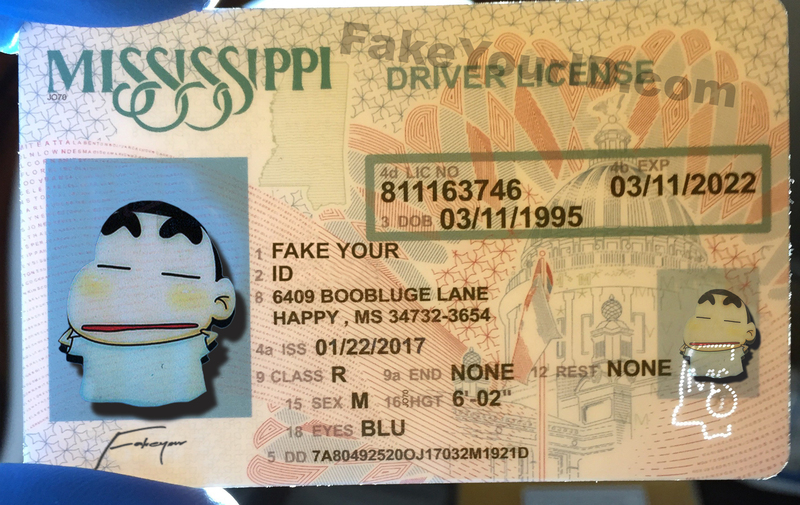 The Scanning success our Mississippi fake id depends on a number of factors.